Teddy the Dog turned 10 in late October. I turned an age “greater than 10 years old” this summer. We’re both feeling like it’s time for a change, but not sure what that change is going to look like. In late August, I had a health issue that consumed three months of my life. I have a new understanding of how every single priority in your life can be reshuffled in a moment when two doctors (in two separate opinions) tell you something scary. Prayer also brought about a dramatic change in my spiritual and emotional state, and that’s the bigger miracle. The spiritual transformation put the whole “Wayne Mess™” in razor sharp focus. Again, thanks to the infinite grace of God, I was gifted the spiritual energy to forgive him, and also given the spiritual stamina to forgive him every day. He made his choices and he has the whole of eternity to ponder the consequences. That’s all between Wayne and his Creator now. I’m out of the loop. Throughout our marriage and even after his death, I felt spiritually responsible for him. My “encounter with the divine” helped me see clearly that this is a devilish trick. As adults, we’re spiritually responsible for ourselves and for no one else. I still think about him a lot, but these thoughts no longer eviscerate me. That’s the grace of God showing up in my heart, mind and soul. I’m sure of it. A dear friend suggested that I become a home inspector. I’m seriously considering that. I’m also contemplating a move out of this area (southeastern Virginia) and into the Midwest. There are just too many memories here in Hampton Roads. This I know: It’s time for some new scenery and some “unexpected delights”! For those of you who have prayerfully supported me, I am immensely grateful. Now, I hope to discern God’s wisdom in moving forward. 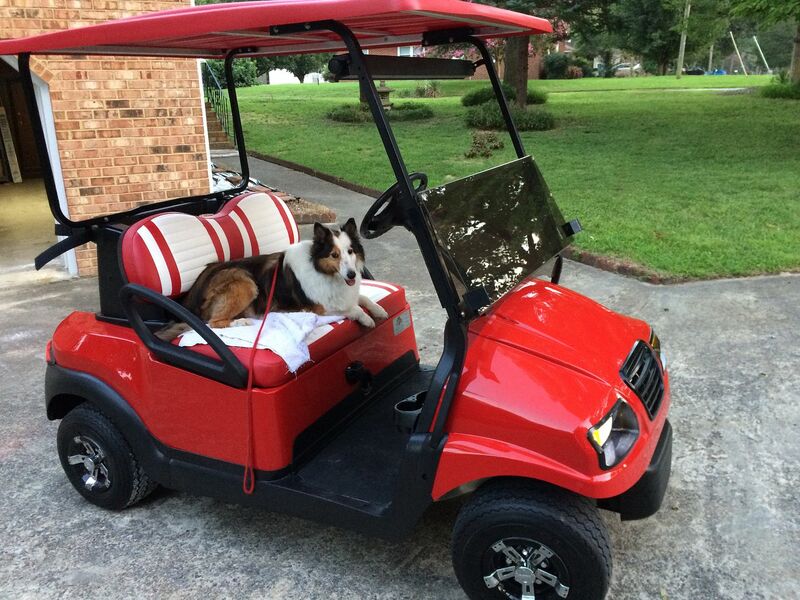 Teddy asked for a golf cart so that she can enjoy her "walkies" in a comfy ride. 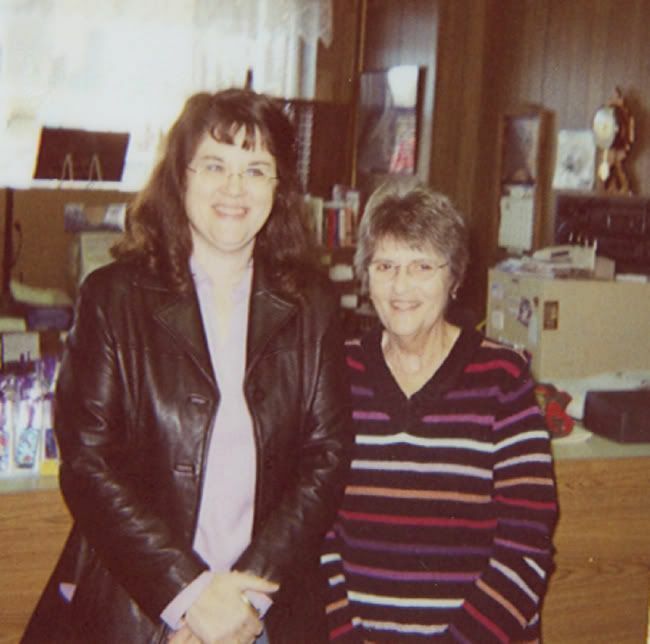 In 2002, I posed with my dear friend Donna at her bookstore in Carlinville. That was 16 years ago. Thus began a friendship that endured through three husbands (one of hers and two of mine), nine books, and a lot of good times. Donna passed on shortly before Thanksgiving, but the memory of her unconditional love will last forever. Want to read about Sears Homes? Click here.